Sicily is an island located in the Mediterranean Sea. It is the largest island in the Mediterranean. Politically Sicily and the smaller islands surrounding it are considered an autonomous region of Italy. 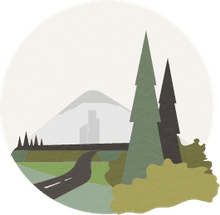 The island is known for its rugged, volcanic topography, history, culture, and architecture. 1) Sicily has a long history that dates back to ancient times. It is believed that the earliest inhabitants of the island were the Sicani people around 8,000 B.C.E. Around 750 B.C.E, the Greeks began to form settlements on Sicily and the culture of the native peoples of the island gradually shifted to that of the Greek. The most important area of Sicily at this time was the Greek colony of Syracuse which controlled most of the island. The Greek-Punic wars then began in 600 B.C.E as the Greeks and Carthaginians fought for control of the island. In 262 B.C.E, Greece and the Roman Republic began to make peace and by 242 B.C.E, Sicily was a Roman province. 2) Control of Sicily then shifted through various empires and people throughout the Early Middle Ages. Some of these included the Germanic Vandals, the Byzantines, Arabs, and Normans. In 1130 C.E., the island became the Kingdom of Sicily and it was known as one of the richest states in Europe at the time. In 1262 Sicilian locals rose up against the government in the War of the Sicilian Vespers which lasted until 1302. More revolts occurred in the 17th century and by the mid-1700s, the island was taken over by Spain. In the 1800s, Sicily joined the Napoleonic Wars and for a time after the wars, it was unified with Naples as the Two Sicilies. In 1848 a revolution took place which separated Sicily from Naples and gave it independence. 3) In 1860 Giuseppe Garibaldi and his Expedition of the Thousand took control of Sicily and the island became a part of the Kingdom of Italy. In 1946 Italy became a republic and Sicily became an autonomous region. 4) The economy of Sicily is relatively strong due to its very fertile, volcanic soil. It also has a long, hot growing season, making agriculture the primary industry on the island. The main agricultural products of Sicily are citrons, oranges, lemons, olives, olive oil, almonds, and grapes. In addition, wine is also a major part of Sicily’s economy. Other industries in Sicily include processed food, chemicals, petroleum, fertilizer, textiles, ships, leather goods and forest products. 5) In addition to its agriculture and other industries, tourism plays a major role in Sicily’s economy. Tourists often visit the island because of its mild climate, history, culture, and cuisine. Sicily is also home to several UNESCO World Heritage Sites. These sites include the Archaeological Area of Agrigento, the Villa Romana del Casale, the Aeolian Islands, the Late Baroque Towns of the Val de Noto, and Syracuse and the Rocky Necropolis of Pantalica. 6) Throughout its history, Sicily has been influenced by a variety of different cultures, including Greek, Roman, Byzantine, Norman, Saracens, and Spanish. As a result of these influences, Sicily has a diverse culture as well as diverse architecture and cuisine. As of 2010, Sicily had a population of 5,050,486 and the majority of the people on the island identify themselves as Sicilian. 7) Sicily is a large, triangular shaped island located in the Mediterranean Sea. It is separated from the mainland of Italy by the Strait of Messina. At their closest points, Sicily and Italy are separated by just 2 miles (3 km) in the northern part of the strait, while in the southern part the distance between the two is 10 miles (16 km). Sicily has an area of 9,927 square miles (25,711 sq km). The autonomous region of Sicily also includes the Aegadian Islands, the Aeolian Islands, Pantelleria, and Lampedusa. 8) Most of Sicily’s topography his hilly to rugged and where ever possible, the land is dominated by agriculture. There are mountains along Sicily’s northern coast, and the island’s highest point, Mount Etna stands at 10,890 feet (3,320 m) on its eastern coast. 9) Sicily and its surrounding islands are home to a number of active volcanoes. Mount Etna is a very active, having last erupted in 2011. It is the tallest active volcano in Europe. The islands surrounding Sicily are also home to a number of active and dormant volcanoes, including Mount Stromboli in the Aeolian Islands. 10) The climate of Sicily is considered Mediterranean and as such, it has mild, wet winters, and hot, dry summers. Sicily’s capital Palermo has a January average low temperature of 47˚F (8.2˚C) and an August average high temperature of 84˚F (29˚C). 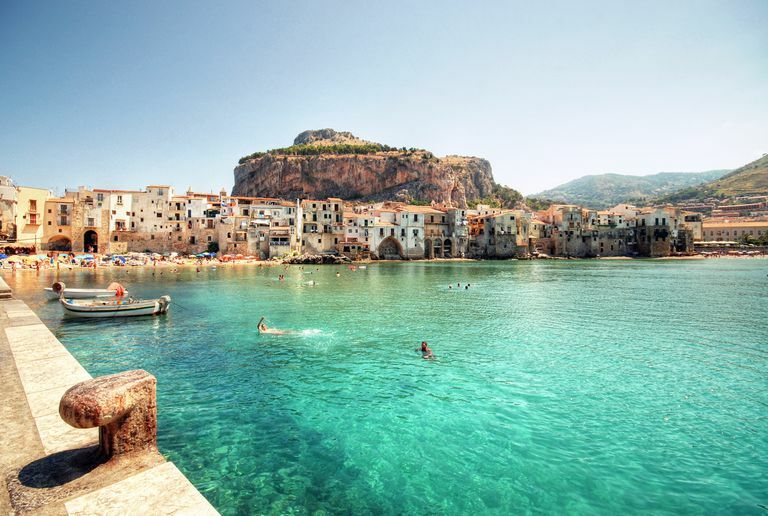 To learn more about Sicily, visit Lonely Planet’s page on Sicily.